After we learnt about acids and oxidation today, we had a bit of science fun. Last year as part of our LCN (Learning and Change Network) work our senior leadership team visited a group of 10 decile 1 (low income) schools in Auckland who have grouped together to improve learning outcomes for their students. When I first encountered this group it was at an LCN gathering in Dunedin and they showed some of the blogs that their children were making. They were adding comments during and beyond school. The first and most striking thing I noticed was the QUALITY OF THE CHILDREN’S WRITING was very high, when they were posting independently. Of course, I asked what the secret was and the secret was a real audience. The fact that these children publish their work to a world audience and that they are being followed means that they do their very best. Some of the children have thousands of followers from all over the world (see below). That is why I have given all our children blogs. Bad planning or confusing surface features such as punctuation and spelling make it difficult for the reader to understand what the writer is trying to communicate. 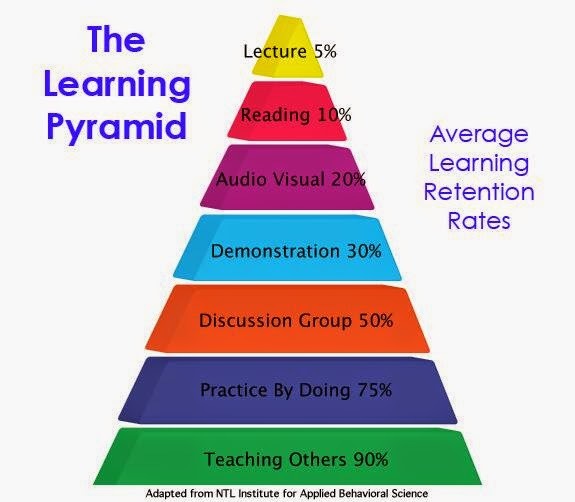 If our children believe they are really communicating it is the best incentive I know of to improve the overall standard of their writing. So please encourage your child to use their blog and join me in emphasising that they need to present themselves with finesse. She has over 33,000 views from all over the world. That keen audience that she has created motivates her to continue to reflect on and share her learning stories which of course improves her learning outcomes. Let's make it happen for our children. We can start by sharing their blog link with friends and relatives and encouraging them to make learning entries at home. Do you like books that are funny, interesting, that you don’t want to stop reading and little brothers called “Stink”? Because I do. This is a story written by Megan McDonald and illustrated by Peter Reynolds. It is a fiction book that is easy reading. This story takes place over a short period of time. Judy is a moody kind of girl, about 11 or 12 years old and her last name is “MOODY”. It’s not the name that makes her moody though because not everyone in her family is moody. It is a story about friendship. Her best friend is called Rocky he has been her friend for a long time. They have a secret place that they go to and they have to cross two speed bumps, which they call China and Japan, to get to their man cave which is between their houses and from there they go to Vic’s most of the time. Vic’s has lollies and just about anything. Judy also has a brother called ‘Stink” and he is sometimes annoying. Judy gets a school project called “me collage” and works hard at this because she wants to fit in at school. The surprise at the end is when she didn't get all mad at Stink when he spilled his drink on her “me collage” project. There was a big red juice stain in the middle of it shaped like a triangle, what she did was she rolled it up and made it stand out and said it was the block that she lives on. The good things about this book are that it is not too long, but not too short, if you know what I mean. It makes you want to keep reading it. It is funny, it is moody, it is interesting and has a happy ending which is why I enjoyed it so much. The book I chose to do my review on is I am David. The author of I am David is Anne Holm. The genre is fiction/historical novel. I am David is a lot better than it looks. This is what I am David is about. David escapes from a concentration camp at the end of World War 2. David travels through a few countries, meeting new people and making new friends and “enemies.” One of his friends was a dog. His aim was to get to Denmark, where his mother lived. What I don’t like about I am David is the sudden ending. I don’t like sudden endings because it seems that there is more of the book to read but there isn’t. Reading a book with a sudden ending is like reading the second last book of a series but you can’t find the last one to read it. I think the author was trying to tell us that a belief in God is good, and it will eventually led you to where you want to go. David’s belief in God led him to where he wanted to go, which was to someone that loved him. An example is: (page 153) then David said in French, “Madame, I’m David. I’m…” he could say no more. The woman looked into his face and said clearly and distinctly, “David… my son David…” (That’s what I mean by a sudden ending). I would recommend this book for people that like exciting books without much violence. I would also recommend this book because it is a good example of good writing. It also shows us how believing in God can get us to where we want to go. The book I read was “The man of steel, the early years.” It is a biography of Clark Kent’s early life. It is adapted by Frank Whitman inspired by the film Man of Steel, screenplay by Davis Goyer story by Davis Goyer and Christopher Nolan. It is about superman reflecting on his life up to when he was 13. It started when Krypton was doomed so Jor-El and Lara put Kal-El in a space capsule and sent him to earth. The space capsule landed on a farm and he was found by the Kents. When he was 6 years old he decided to climb a windmill. When he got to the top he fell off, but when he hit the ground he was fine which led him to believe he was special and different. He harnessed his powers and became the hero his parents raised him to be. The book flowed really well, it made me want to read on and even though I was told to go to bed I kept on reading. The bad thing was that it did not describe Clark Kent very much. The point of writing this book is to tell the reader about Superman’s childhood. The author has contributed by putting more depth in to Clark Kent’s (Superman’) childhood\life. I think that their contribution was good. I recommend this book for people who like Superman and have watched the man of steel, so you can expand your knowledge about Superman\Clark Kent. “The notebook of doom rise of the balloon goons” by Troy Cummings. It is a fiction story and is based in the town of Stormont. The main character is Alexander, he moved to a new town and home. 3. Having to make new friends. The next morning it was the first day of school. Alexander’s dad gave him a map and he headed off to school. Lots of weird things happened to Alexander on the way, like when he was walking he saw something waving its arms in the air and that was when he was sure that he was being followed by the balloon goons. He met a boy called Rip Bonkowski at school who is mean to him. Rip comes to his birthday party and things get really exciting. I liked the book because it made you want to read the next book and it made you feel like you were in the book and I had never seen balloon goons before and that’s what made me read the book. I think the author’s trying to give a message, I think the message is, don’t judge a person by their looks and people can change. This book makes people want to read it because of the hook at the start of the book and the cover of the book has bright colours and it is a very imaginative book. I recommend this book for people who have a good imagination and people who like monsters. Are you looking for a book that’s light hearted sweet and lovely? Not for the faint of heart. So let’s get started with Deltora Quest! Lief Barda and Jasmine have come back from their quest to find the seven gems of Deltora. With Lief now being king there’s new dangers that could threaten all of Deltora! Lief goes to Deltora to find a wife so that he can produce an heir to the throne as soon as possible. But the shadow lord has thousands of Deltorans in the Shadowlands being used as slaves, and being forced to fight in the shadow arena. Only one weapon is powerful enough to defeat the shadow lord…The pirran pipe. But there isn’t any proof this even exists let alone any clues of where it might be. Oh wait… or is there? Doran the dragon slayer leaves clues that the pipe is split up into three pieces on three islands. But what islands? Well when Jasmine finds out her sister she never knew is in the shadow lands and goes into an underground tunnel…well I can’t spoil it! So if you want to find out what happens…go read it yourself. To be honest I couldn’t find any flaws in this! Its plot worked fine, didn’t have any confusion and the characters worked great! This is an action and mystery book about a group of friends, Pearce is Yosef’s best friend and Pearce is perfect. He can run much better, climb higher and kick much more accurately than anyone else in their school. But it made me wonder what would happen if Yosef began to come first instead? There were some strange events happening at their school and things are beginning to change! Pearce, Yosef, Frankie, Adam, Denton, Tess, and Emily are all best friends, they all love running although Pearce and Yosef like it most, this is what the gang do in summer but what do they do in winter... soccer yes it’s Adams favourite sport, so they had an awesome and joyful game of soccer and had a peaceful sleep that night but not everyone was asleep. Robbers yes robbers and someone else who you will have already heard of, odd enough some robbers that Pearce knew were the robbers that were there. Their names were Overalls who was a cunning, cruel, horrid, man who was secretly working with the school caretaker Mr. Crowe who was also quite nasty and cruel to the kids for playing on the fence and being happy (something I think he never was!) Anyway after their months of planning, Overalls came that night and tried to steal the lawn mowers, but all of a sudden he noticed that Denton and Yosef have been spying and taking pictures. So he came towards Denton and beat him and almost broke the camera when Yosef came in and caught it, before Denton threw it and took the beating before Overalls got in his truck, and chased Yosef around the school fields. At this point Yosef was running faster than a car that’s really fast! Imagine the rush, fear, and horror he would have been feeling so just think what would you do at this stage? Well Yosef just kept on running and running and running till he finally lost him and Overalls gave up and left forgetting that Yosef still had the camera containing the pictures of him which Yosef and Denton handed in to the police station and left the police to chase down and capture and lock away Overalls and Mr. Crowe for ever. So that’s pretty much the summary of the book. What do I think was not good and good and why? I think that the story and the meanings were very good and also the way that the author had set out the book because it did not confuse me in any way which means that it was perfect for me! I think that there were not any bad/not good things in this book because the story did not have anything too complicated for me to understand so I think she wrote it in the perspective of a child which is great! What do I think the authors’ message through the book was? I think the message given to me was that you should not completely trust someone if they look suspicious or mysterious, I also think another message was that friendship is very powerful otherwise how do you think that Yosef and Denton caught Overalls and Mr.Crowe. I think that the point of the book was to entertain and give a good message to children. I also think that the author giving this message was a very good thing to do! So to sum it up this is a great book/novel and I would definitely recommend this book for someone who likes to be entertained and try to figure out the messages in the book because it was slightly hard for me to do, and because this is for kids the age 8 and above. And why is it that age? Because it will help you to understand the deeper meanings in books and other things so read this book/novel!!! MADDY IS A FICTIONAL CHARACTER, CREATED BY THE AUTHOR, AND HER STORY IS A WORK OF FICTION BASED ON ACTUAL HISTORICAL EVENTS. IT IS WRITTEN AS MADDYS DAILY DIARY. A BOOK REVIEW BY: LAURA MATHER. Maddy is an eleven year old girl that lives in Christchurch. She and her best friend Laura were really close; Laura went to Maddys house almost everyday! In their class there were two really mean girls called Zoë and Bettina. Laura and Maddy were doing singing cup! And Zoë and Bettina were their rivals! Maddy and Laura were worrying about the singing cup because if they lose they will have to put up with Zoë and Bettina skiting for the rest of the term but… Maddy and the rest of Christchurch experiences one of the “worst days” of their lives on the 4th of September 2010, when a massive earthquake hit Christchurch! As Maddy navigates the bumps and crashes of life after the big quakes, she discovers that Laura was moving to Timaru! She didn’t know what to do but when Zoë’s best friend Bettina moves away too, they both find friendship in the most unlikely places! What I liked about the book was it was set out as a daily diary which made it easy to pick up the story line after putting it down. Also, I could relate to the story because Oamaru felt the earthquakes and because it didn’t happen in America, it happened 3 hours away. I also felt that I could relate to what Maddy was going through because she is a similar age to me. There was nothing that I did not like about the book. The author isn’t telling a story it actually happened, that’s why I think it’s a good message. It tells us you never know when a big disaster is about to happen like an earthquake. Maddys house didn’t fall down or get red zoned but Laura’s house and Maddy’s uncle and auntie’s house were, so they had a lot of people living with them! They went though a rough time. I recommend this book to people who felt the earthquake or were interested about it when it was on the news, I really enjoyed reading this book and it was quite sad at times, but I enjoyed it! This book is about a girl who does something wrong to a friend and she tries to fix the problem but something doesn’t go right. The book had OUTSTANDING descriptive language. It describes everything in the book. The book also hooks the reader into the story, and makes the reader carry on reading. What I didn’t like about the book was that it got less interesting in chapter 1, because when Suzanne and Jeremy were talking about how much longer until the pizza shop opens for a while, it lost my interest. Yes I think the author was trying to give a message. If you do something wrong you need to try to fix the problem, before it’s too late like what a really good friend does to help. I think she wrote the book because she wanted to teach young kids what to do if you make a mistake. Yes I think the author was trying to communicate - saying it’s ok to make a mistake you just need to fix it and everything will turn out fine. I recommend this book for people who like to help a friend or for people who like a challenge or anything that involves food. The book that I have read over the holidays is called the Tiara Club at Diamond Turrets – Princess Abigail and the Baby Panda. The author is Vivian French and the genre of this book is fiction. The book is about a princess called Abigail who is trying to save a Baby Panda because there are two mean princesses that don’t even care about scaring the baby panda or that Princess Abigail is trying so hard to save the baby panda. The thing that made this book very interesting was that there was a sense of adventure and that there were heaps o finteresting things that made it even better. The thing that made the story bad was that they kept it in the third person, not the first or second person so that is why I didn’t really like it. I think that the message is to think about what you do and help other people make a good decision. I think that the point of writing the book was to give people a sense of design to people that don’t think before they act. I think that they put a clear message through the book because it has a simple message to give. All in all this story was a very good story and it had a very good theme to it. It would likely recommend this book for people who like princesses because even if you that stories this are for little kids, even if you read just one chapter it will make you want to read more. If you like this book I have one copy so feel free to come and ask me for it and I will give ti to you to read. So come and get it. This book is funny, no it’s hilarious, no it’s super hilarious, no it’s mega super hilarious. Ok you get the picture. This book is well worth reading. 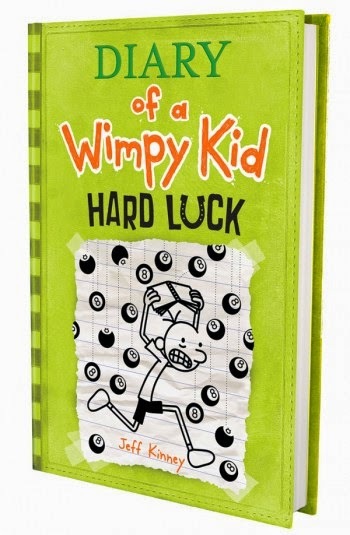 Diary of a Wimpy Kid, Hard Luck is a fiction story written by Jeff Kinney. It is written in the first person in a diary format. The main character Greg Hefferly writes the diary. Greg is in middle school so he is about 12 years old. The diary tells about how Greg’s best friend Rowley has ditched him for his new girlfriend and Greg has to find new friends. It is very difficult for him and his diary explains the difficulties and the funny things that happen. This book has a brilliant beginning, a marvellous middle and an excellent end. The beginning is interesting, funny and hooks you in like a fish caught on a fishing rod. The middle continues to make you laugh as it explains what happens in Greg’s life in a way that keeps you connected through the whole story. The end has a happy ending but you will have to read it yourself to find out what happens. I think that the author Jeff Kinney was trying to explain what life is like in middle school in the funniest possible way. I think that his message is that it is good to laugh at ourselves once in a while. This book is mega super hilarious. I would recommend this book to kids from 9-12 years old because it is an easy read, very funny and very interesting. Genre: a fiction, action, adventure and mystery. Skulduggery Pleasant book 1 is about a girl Stephanie and her uncle, who writes horror fiction books then he sadly dies. At his funeral Stephanie sees a man standing out of the crowd, he was hiding his identity with a scarf around his neck and a hat covering his face. When Stephanie and her family return to their house for the reading of her uncle’s will, the strange man also joins them. No one knows who this stranger is, but when the will is being read, it all becomes clearer. The strange man is her uncle’s closest friend and name is Skulduggery Pleasant. Her uncle gives his house to Stephanie but can only take possession when she’s 16. Stephanie goes to her Uncle’s house to reflect on her life with him. While she is there the weather changes and it rains heavy and floods the drive way so she has to stay the night. Someone rings the phone saying “Give it to me,” she doesn’t know who he is so she hangs up. Later that night the man breaks into the house threatening Stephanie. Skulduggery Pleasant comes in and burns the man with his magic and he reveals to her his true identity, he’s a skeleton. He introduced himself to Stephanie and tells her he thinks the evil mastermind Serpine sent his henchman hands on the powerful sceptre that he thinks is at her uncle’s house. He tells the Elders but they say its nonsense because Serpine has been helping them. After a few clues and meeting friends along the way Skulduggery finds out Serpine is after the book of names and it has everyone’s 3 names. The name you’re given from your parents, the name you pick and your special name that you should not tell anyone. The main Characters are: Skulduggery Pleasant, Stephanie/Valkyrie Cain, Ghastly Bepspoke, China Sorrows and Serpine. I think it was a great book because it keeps you wondering what’s going to happen next and gives some surprising twists at the end. I think the message is don’t give up on what you do because in the book Skulduggery doesn’t give up on finding Serpine. When the elders say he isn’t behind Stephanie’s uncle’s death he keeps going. The book is about Hunter Greenman, a teenage boy who lives with his single mum in a rural village called Fraygate. In the beginning of the book he get chased by bullies but soon gets help from two wolves and their Master "the Keeper." Later in the story he makes three friends, Bridget, Donn, and Sara. Together they go on a quest to find Athame, a magic dagger. With the dagger and their own magic powers they must defeat the big evil magic doog the Barghest before he kills them. The book is very fluent to read because there are just some tricky words and they get explained the easiest way possible. It's packed with action and fights so it never gets boring. On one hand its a really good book for boys because romance, which I personally don't enjoy, was completely left out. On the other Hand it's a good book for girls because two of the main characters are girls. There was one part in the book I didn't enjoy and that was when the author described the little red cap elves. It was scary because he described them as very bloodthirsty and furiously horrible. The Lord of the Beasts is an action packed fantasy book. I think the author wanted to make it clear that if you stick with your true friends then you can get through a lot, even if you think it's impossible. In my opinion the story was just written to entertain children and teenagers. For me it was an exceptional book because I loved all the magic fighting. I would recommend this book for children 10 and above because it would be a little bit too scary for younger kids. I have chosen to write my book review on a novel called “Villain’s night out” written by Margaret Mahey. This story is fiction which means this story is not real. This story is about a boy named Formby. Mrs Rodgers, his teacher, gives the class a task to write a story to go in the school library. On Formby’s way home, Squidgy Moots comes alive but only Formby can see him. Formby starts writing his book. His sister wants to help but Formby won’t let her so she starts finding his writing and adding bits. In Formby’s story Squidgy Moots also gets a sister who causes problems. Aspin Twinkle is a boy who bullies Formby on the way home from school every day. Formby ends up with a bully in his story. Aspin steels Formby’s story on the way home and likes it. He tells Formby to keep writing. He also starts doing drawings to go with the story. Formby starts sharing the story with Aspin and his Sister. The things I like about the book were: there were no really bad people and there were lots of funny bits. However, it could have had more action in it which would have made it better. I would not recommend this book to a friend because it didn’t have enough action in it. There is a kid named Greg Heffley and his best friend Rowley Jefferson who are stuck in high school with a bunch of kids who have low intelligence unlike Greg who has high intelligence. Greg is one of the undersized weaklings that have to share hallways with kids who are taller and meaner. The best thing about the book is when Greg hit Rowley off his trike with a rugby ball and Rowley broke his arm. Also when these teenagers turn up to their school and make Rowley eat this piece of cheese that has been on their basketball court for months. The thing is if they touch it they make a thing called the cheese touch and they go round screaming if the person that touched the cheese comes near them. I think the author's message is trying to say that if something is wrong don't blame yourself. It helps you to stand up for yourself when you are getting bullied. my conclusion is I think Diary of a Wimpy kid is good because it helps you to think of how you are going to approach high school and how to deal with bullies and how to make more friends. I would recommend this book for people that don't like to read that much because it will get you into reading a lot faster. The “Third Year At Malory Towers” is written by the British author Enid Blyton, who has written all sorts of children’s books from the “Famous Five” series to the “St Clare’s” series. This book is an adventure book about some girls at an English boarding school. This book is about some schoolgirls that play pranks on their teachers and tease the disliked kids. There are a few new girls: Bill who is crazy about horses, Zerelda the American girl who thinks only of her appearance and Mavis who is sure she is going to be an opera singer. With the new kids there are funny, spiteful and surprising moments. My favourite part was when the girls did a trick to make their poor French teacher sneeze by hiding a vapour capsule behind the blackboard. One of the great things about the book was there was always something that I was left wondering about, the girls were always up to something. One of the not so great things about this book was that there were a few girls who teased the disliked girls because they weren’t as popular as the others. 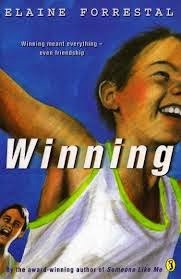 Through this book I think the author has tried to tell others that boarding school can be a lot of fun, by engaging the reader in the comical happenings that aren’t in everyday life. I would definitely recommend this book to others because it is really funny and adventurous at the same time. It is a book that would be great for most kids and teens. 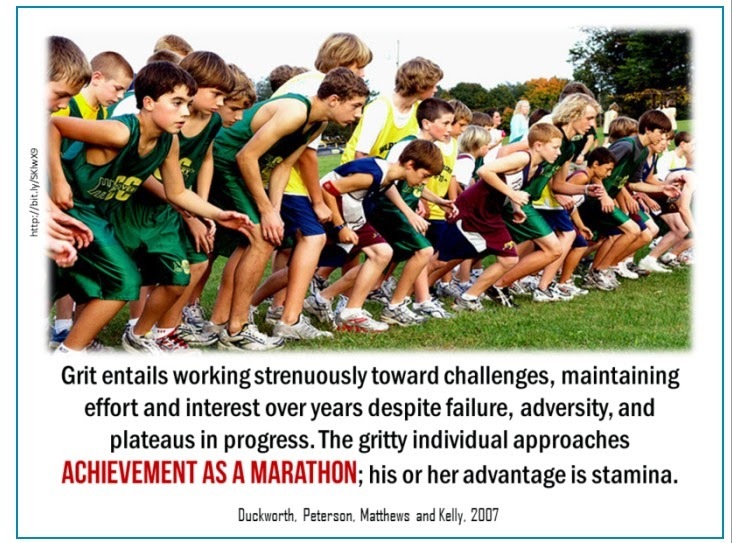 This term we are doing long term projects you will need GRIT to make a marathon effort. · Consciously use visual, sound and rule strategies to spell words accurately first time. Make sure we remember renaming fractions, adding fractions, multiplying by 10, 100 and 1000 and calculate percentage profits and our problem solving strategies from last term. · Plan, conduct and evaluate a statistical investigation. · A well-researched and written presentation about a scientific topic of your choice, using scientific language, based on the experiments and theory we learn in the first half of term.